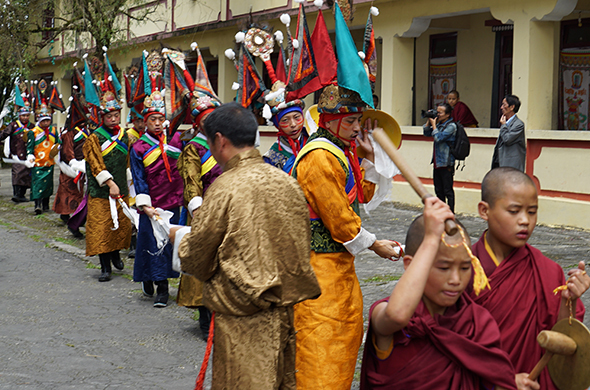 On 29 August 2015, the people of Sikkim celebrated the third and final day of Pang Lhabsol at the Tsuklakhang (Royal Chapel) in the capital, Gangtok. 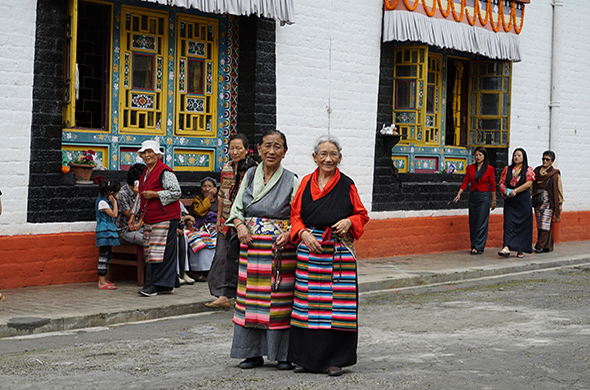 Lying between Nepal and Bhutan, Sikkim was a kingdom, until it was annexed by India in 1975. 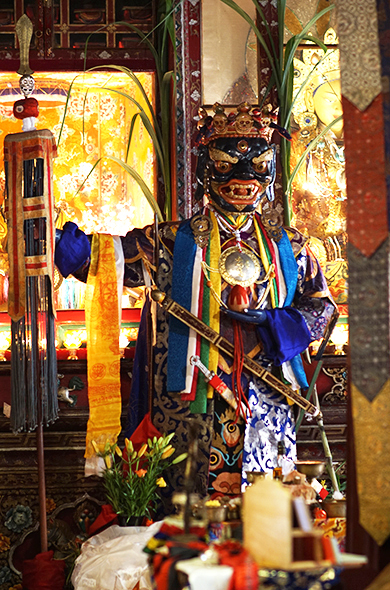 In Buddhist circles it is often known as Beyul Demajong, or Guru Rinpoche’s ‘Hidden Land’, and considered one of the most sacred places in the Tibetan Buddhist tradition. 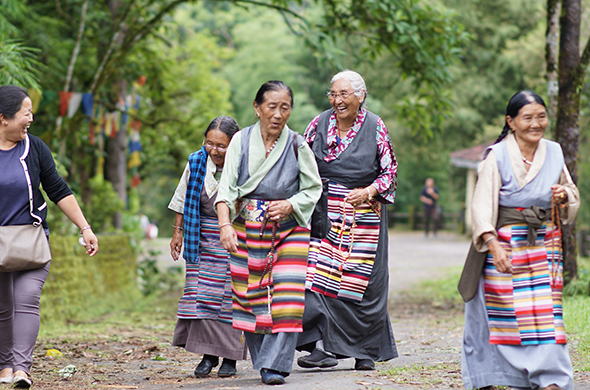 Pang Lhabsol is one of the most important annual ceremonies for Sikkim and its people, as it pays homage to all of Sikkim’s guardian protectors. Of these, Dzonga (the representation of Mount Kanchendzonga), Gonpo (Sanskrit: Mahakala), and the dragpo deshi (the guardians of the four directions), are the most well known. 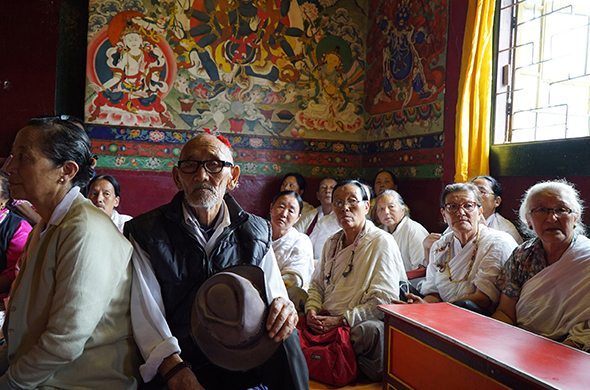 Sikkim is historically Nyingma (the oldest of the four main schools of Tibetan Buddhism) and illustrative of its esoteric tradition of hidden treasure teachings, this text was ‘hidden’ by Guru Rinpoche (Sanskrit: Padmasambhava) in the 800s. It was ‘revealed’ as a ‘terma’, or treasure, by Lhatsun Namkha Jigme, a highly accomplished Tibetan yogi practitioner, in the 1600s. 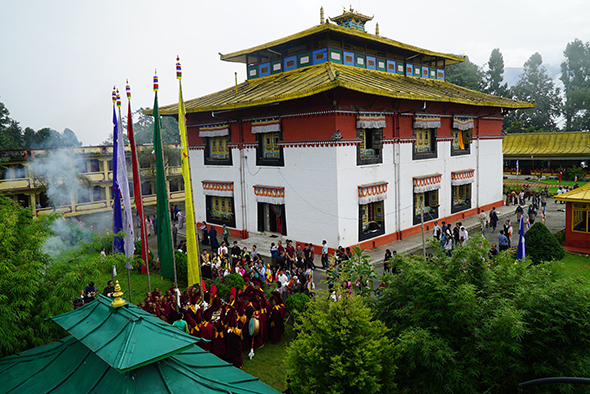 Lhatsun Namkha Jigme, considered to be incarnation of two great figures, is credited with establishing Buddhism in Sikkim and building its first monasteries. 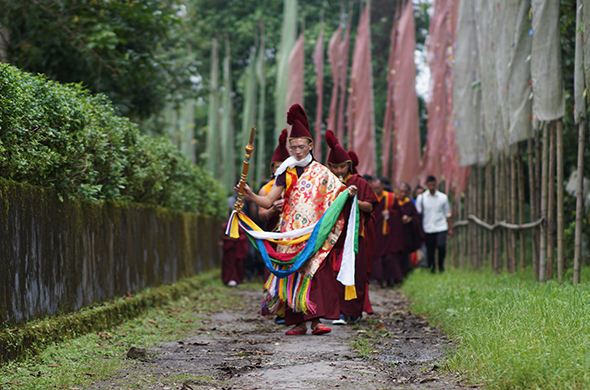 The Pang Lhabsol ceremony itself follows a ritual text called ‘neysol’. This text is recited for three days, and on the final day is accompanied by dramatic ritual performances, including the ‘shaylen’ (oral oath of protection), the ‘dzongkhor’ (victory song), and the ‘pangtoed chaam’ (warrior dance). The latter was added by the third Chogyal of Sikkim, Chador Namgyal (1700-1716), whose visionary dream was the basis of this choreography. Text by Pema Abrahams. Follow her global adventures and the fruits of her research on Instagram @pema_abrahams.